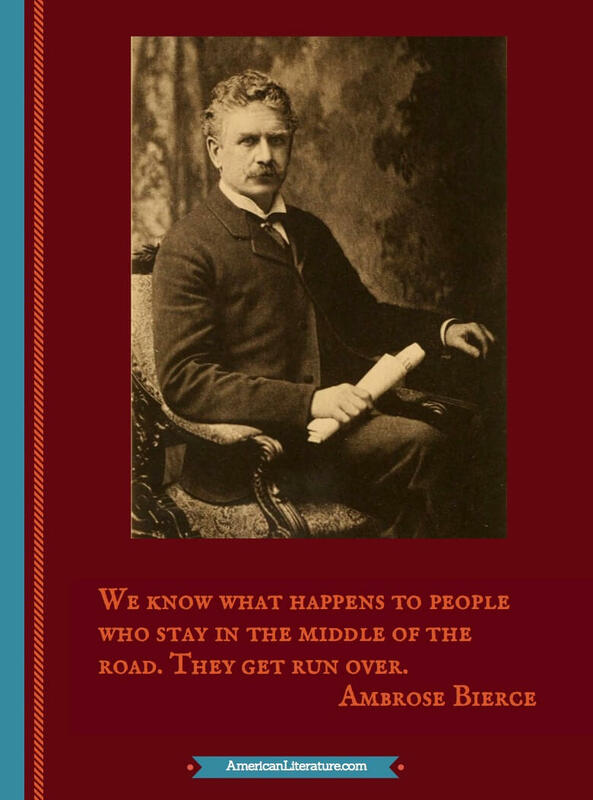 Known for his satirical wit and sardonic view of human nature, Ambrose Bierce earned the nickname "Bitter Bierce." His mocking cynicism is on full display in The Devil's Dictionary , a work that originally appeared under the title The Cynic’s Word Book. This humorous and often strikingly insightful book is always worth a casual visit as he takes his turn handing out striking proclamations about human nature and daily life. As a short story writer, Bierce gave us many treasures. His most famous and widely read short story, An Occurrence at Owl Creek Bridge is brilliantly written. We encourage students and teacher to use our Study Guide to more fully appreciate the story. One doesn’t need an expert to discern its merits, but for good measure, Kurt Vonnegut, Jr. considered An Occurrence at Owl Creek Bridge to be the greatest American short story and a work of flawless American genius. Though more predictable, we also nominate A Horseman in the Sky as stamped with literary genius. Bierce's canon exemplifies the genre of Realism. In 1913, during the Mexican Revolutionary War, Bierce traveled to Mexico to gain first-hand experience of the conflict. He disappeared without a trace while traveling with rebel troops. It's rumored that he might have been killed by the rebel, Pancho Villa early in 1914, though this remains speculation. Prior to his mysterious disappearance, Bierce served in the Civil War in the Union's 9th Indiana Regiment, gaining newspaper attention during the "first battle" of Philippi for his daring rescue, under fire, of a gravely wounded comrade at the Battle of Rich Mountain. He is considered one of the only major authors of the Civil War genre to have first-hand knowledge as a soldier. He suffered a head injury in 1864 at the Battle of Kennesaw Mountain, taking a furlough, then later leaving the Army. He was commissioned Lieutenant for the Army in San Francisco, where he remained for many years, eventually becoming famous as a contributor and editor for a number of local newspapers and periodicals. 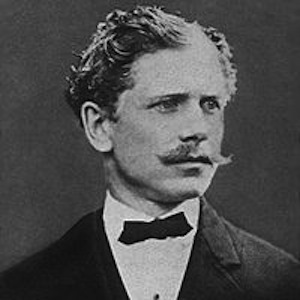 Bierce became one of the most influential writers on the West Coast, working for Hearst's The San Francisco Examiner, starting in 1887 when he published his column called "The Prattle," a searing criticism that embroiled the newspaper in several controversies that Hearst had to smooth over. Bierce's short stories are based on the terrible things he had seen during war time, particularly The Boarded Window , Killed at Resaca , and Chickamauga . Along with war and ghost stories, Bierce published several volumes of poetry. Favoring the ironic style of the grotesque, Fantastic Fables was followed by his more famous work, drawn from occasional newspaper items, The Devil's Dictionary , a satirical book of definitions published in 1906. This work comprised the entire seventh volume of his twelve volume set, Collected Works , published in 1909. The Bridge , a silent film in 1929, and two versions of The Twilight Zone episodes in 1964, one in French, the other in English. More recently, the ABC television series Lost featured an episode entitled "The Long Con" which was also based on this Bierce story. You might enjoy our An Occurrence at Owl Creek Bridge - Study Guide. We hope you enjoy his well-known works and venture deeper into his collection to uncover your own favorites. Many of his stories are featured in our collection, Civil War Stories. You might appreciate the historical context from American History in Literature.